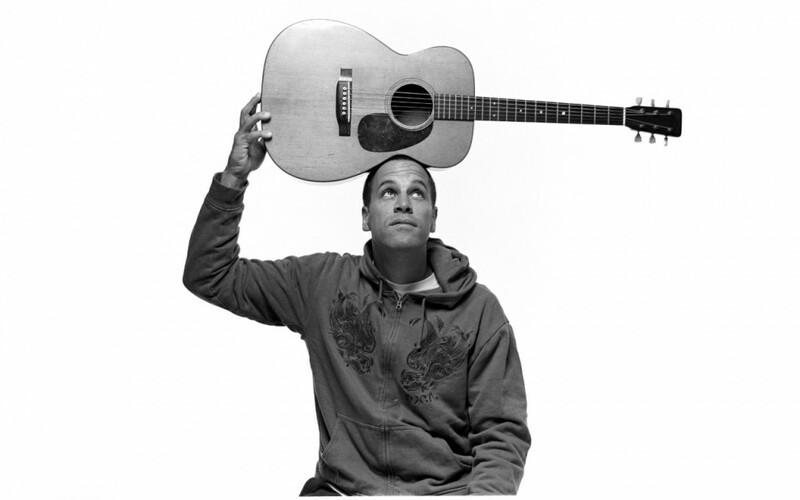 Though he hasn’t released a studio album since 2010, Hawaiian “soft rock” singer-songwriter Jack Johnson has been an unquestionable darling of the last decade, topping the college charts with catchy, easy-going folkpop lullabies, and winning praise for his work organizing the jam and surf communities through music and political action. And the odds are good that you’re familiar with at least some of his work; after all, his soundtrack for the 2006 film Curious George garnered two Grammy nominations, and became the first soundtrack for an animated film to top the Billboard 200 since Pocahontas; his matter-of-fact take on Dylan’s Mama You’ve Been On My Mind alongside other luminaries from across the genre spectrum on the I’m Not There soundtrack the following year was a standout in the mix. In the annals of popular music, Johnson is often associated with the fratrock and jamband crowds, thanks in part to his top-rate cred as an ex-competitor and documentarian of the world of professional surfing, early gigs alongside Dave Matthews and Ben Harper, and ongoing collaboration with acoustic hip-hop performer G. Love. The influences he claims run a wide gamut, from Otis Redding and Jimi Hendrix to Radiohead, Neil Young, A Tribe Called Quest, and Bob Marley; echoes of their various elements permeate his songwriting even as the campfire sentiment he brings to his playing transforms that soul into intimacy. But it’s easy, too, to make a case for his work as central to the post-millennial elevation of indie folk rock into the mainstream. Typified by bouncy, danceable strum patters which echo the hawaiian music and culture of his early years as a surfer and beach bum, the stories which Johnson brings to life are vivid portraiture. His warm voice, centrally acoustic guitarwork, and tender, easy-going sing-song treatment of often sensitive subjects from ecology to homelessness put him squarely in the folk camp. And his promotion of other singer-songwriters via his homegrown label Brushfire Records has helped raise consciousness of several fellow-minded artists with clear folk influences, such as Matt Costa, Neil Halstead, Mason Jennings, and Zee Avi (and sure enough, we’ve got a full set of covers from those labelmates and mentees as a bonus set below to follow Johnson’s own). In live performance, our subject is prone to further consciousness-raising through activist song, and to medleys which combine his own social justice anthem Fall Line with the songs of others – you’ll find a pair of such hybrid halfcovers here. But those familiar with Jack Johnson only as a peripheral pop radio presence and surf-culture champion will find his larger canon of coverage to be equally glorious, an apt entry into the deeper catalog of his work. He’s taken on many of his peers and influences, and with a few more playful exceptions, like his originals, his covers trend towards the gentle, almost sentimental. Personal favorites include the sweet childlike chant and tinkly piano Johnson brings to Jack White’s We’re Going To Be Friends, and his gently rocking, drone-driven take on Jimmy Buffett’s nostalgic A Pirate Looks At Forty, which I find aptly bittersweet and beautiful, a prototypical combination of oceanic theme and intimate, pensive heart that typifies the best of Jack Johnson’s work. Since I turn forty myself tomorrow, we’ll start there, adrift at sea. As promised, our bonus tracks today comprise a full set of coverage from a few of our favorite Brushfire Records recording artists. Jack is an amazing musician and has been my #1 favorite for many years. His tunes are beautiful, his words kind. His music fits just about any mood you’re in. The guy is a family man and active in environmental causes. It is my dream to see him perform live in Hawaii. If you haven’t listened to Jack before reading this article, I urge you to give him a try. May I take this opportunity to wish you a Happy 40th. Birthday! PS. Birthday donation on its way.